Camilla Thayer is an enthusiastic user of the chromebooks in her sixth grade science classes. While ninth and eleventh grade PHS students ar e only 1:1 in English and social studies classes, every sixth grade class is 1:1! As such, Thayer’s classes offer a glimpse into how mobile learning devices can positively impact learning in science classes. Like other teachers, she immediately points to the benefit the devices provide in quick “formative” assessment – being able to determine what students know and what they don’t – so that she can teach better. Thayer uses “PearDeck” interactive presentations, with built in questions, to assess her students and keep them involved in class discussions. She has explored “flipped” techniques where students are provided content as homework, often through a video, and then apply concepts in class labs and activities. 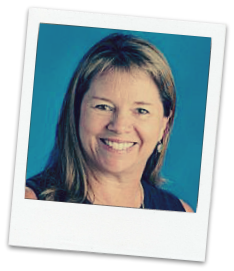 She uses a service called EdPuzzle to provide students with a youtube video with comprehension questions embedded into the viewing. By reviewing the “homework” question results before class, she can identify misconceptions for reteaching, or even know who didn’t do the homework! She finds this sort of digital homework, and the fact that all digital “written” homework has a date and time stamp visible, provides a higher degree of accountability to students. She is also happy to report that the spreadsheets and collaboration available on the chromebooks has allowed sixth graders to collect enough data on Drosophila Fruit Flies to compare with Gregor Mendels’ original research!